A professional sewer camera inspection in Tulsa, Oklahoma is the best way to determine the exact cause of the problem when the drains at your residential, commercial, or industrial property are not working correctly. It also provides a qualified plumbing contractor a way in which to determine the best course of action to take. For example the video inspection will show if there is a clog in the drain pipe or sewer pipeline that can solved with a straightforward drain cleaning. It will also prove if the situation is caused by something more serious. In a worst case scenario where the drain pipe or sewer pipe is broken and will need to be repaired, a camera inspection an help prove in order for the system to properly do its job. 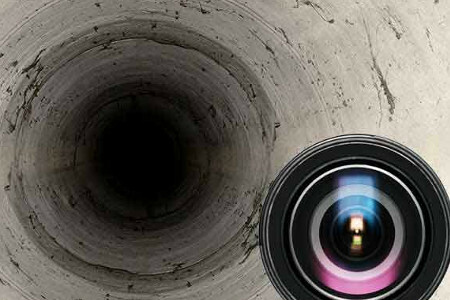 However, not all sewer camera inspection companies provide the same level of accurate service. Nu Flow Technologies has been specializing in sewer camera inspection since the business was founded in 1998. We have the most cutting edge equipment, and experienced technicians in the entire plumbing industry. This combination provides us with the ability to detect problems within the sewer system that other companies simply cannot. Prior to the invention of sewer camera technology one of the main obstacles to a timely sewer repair was the inability to determine the location of the damage in a timely manner. Sewer pipelines run under floors and are also buried underground. This makes it impossible to visually inspect the pipes in person without ripping apart the interior surfaces and excavating the exterior surfaces. Before sewer camera inspections were available plumbers had to do their best to access the situation and take an educated guess as to the exact location of the problem. It was a hit or miss variable that often times took more than one try. That meant a great deal of holes were dug in order to pinpoint the exact location of the damage, which of course is a time consuming and expensive process. It was also a noisy and messy job that caused a great deal of inconvenience to property owners. However, all of that changed with the development of video camera technology for sewer systems. The process basically involves the insertion of a tiny, waterproof video camera that is attached to the end of a long cable into the drain. The camera, which is operated by the technician on a manual basis, sends images to a handheld monitor. The technician is then able to see the inside of the drainpipes and sewer pipes as if they were inspecting them directly with their own eyes. This feature takes all of the guesswork out of the equation. We are able to view the footage in order to quickly and effectively determine the cause of the problem. Once that is determined the next step is to either professionally clean the drains, or repair the damage to the pipes. A sewer camera inspection also provides property owners with the ability to see if the repairs are made correctly, and if the drain and sewer system are in good working order. If you own real estate in Tulsa, Oklahoma or surrounding areas and are experiencing issues with the drain or sewer system, please contact Nu Flow Technologies immediately. We will perform a sewer camera inspection to accurately diagnose the situation and also provide you with a free estimate regarding the costs involved with fixing the problem.